New Drama by Emmy Award Nominee Bekah Brunstetter Premieres Off-Broadway PUBLIC SERVANT Previews begin May 25 at Theatre Row! Theater Breaking Through Barriers (Samuel D. Hunter’s The Healing) kicks off its 40th Anniversary season with the World Premiere of PUBLIC SERVANT by two-time Emmy Award nominee Bekah Brunstetter (NBC’s hit drama This Is Us). It will be directed by Geordie Broadwater. The play is the second part of a trilogy of plays by Brunstetter that kicks off with The Cake in February at Manhattan Theatre Club. 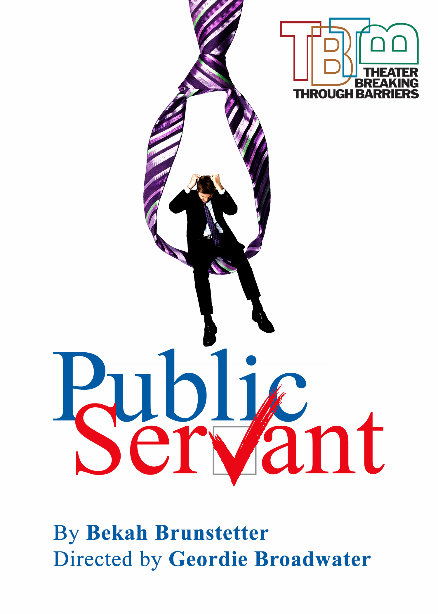 Previews for PUBLIC SERVANT begin May 25 at Theatre Row's Clurman Theatre with opening night on Thursday, June 6. In PUBLIC SERVANT, Ed has been newly elected as County Commissioner. Ed is one of the good ones. With his daughter Hannah by his side, he is going to change the world -- or at least his little corner of it. Meanwhile, all world-weary Miriam needs is for a city inspector to sign off on some paperwork. Disillusioned with the system but desperate, she turns to Ed for help with what should be a simple request. But in the world of politics, is anything ever simple? Casting and production team for PUBLIC SERVANT will be announced in spring 2019. Bekah Brunstetter is the daughter of former North Carolina Republican Senator Peter S. Brunstetter. Her plays include The Cake (Ojai Playwrights Conference), Going to a Place where you already are (South Coast Repertory), The Oregon Trail (Portland Center Stage Fall 2016, O’Neill Playwrights Conference; Flying V), Cutie and Bear (Roundabout commission), A Long and Happy Life (Naked Angels commission), Be A Good Little Widow (Ars Nova, Collaboraction, The Old Globe), Oohrah! 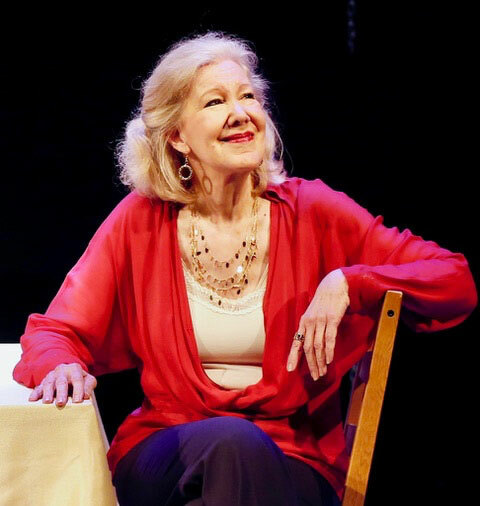 (The Atlantic Theater, Steppenwolf Garage, Finborough Theater / London), Nothing is the end of the World (except for the end of the world) (Waterwell), House of Home (Williamstown Theater Festival) and Miss Lilly Gets Boned (Ice Factory Festival). She is an alumnus of the CTG Writers Group, Primary Stages Writes, Ars Nova Play Group, The Playwright’s Realm, and Women’s Project Lab. She is currently a member of the Echo Theater’s Playwright’s group. She has previously written for MTV (Underemployed; I Just Want My Pants Back), ABC Family’s Switched at Birth, and Starz’s American Gods. She is currently a two-time Emmy Award nominated producer and writer on NBC’s This is Us. Geordie Broadwater is a New York City-based director and writer. Geordie’s previous experience directing Bekah’s work include The Oregon Trail at Fault Line Theater in 2017 and You May Go Now at 45th Street Theater in 2009. He has also directed world premieres of The Insomnia Play by Jess Brickman, Pilgrims by Jamie Carmichael, Neighborhood 3: Requisition of Doom by Jennifer Hale, and Big John and Little Ben by Sam Marks. Geordie was the founder and Artistic Director of the Babel Theater Project, a New York City company devoted to the development and production of new plays. With Babel Theatre Project, he directed A Great Place to Be From by Norman Lasca, Brack’s Last Bachelor Party by Sam Marks, and Christmas is Miles Away by Chloe Moss. Geordie holds a BA in English from Harvard University and an MFA in Directing from the Brown/Trinity Consortium. 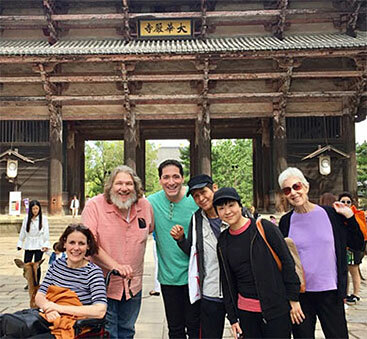 Theater Breaking Through Barriers, under the Artistic Direction of Nicholas Viselli, is a critically acclaimed Off-Broadway company integrating able-bodied actors with artists with disabilities. Founded in 1979 by Ike Schambelan as Theater by the Blind, the company's mission is to change the image of people with disabilities from one of dependence to independence, to fight stereotypes and misperceptions associated with disability, and to show how vibrant, fluid and exuberant the work of artists with disabilities can be. The company has premiered works by Bekah Brunstetter, Bruce Graham, John Guare, A.R. Gurney, Samuel D. Hunter, David Henry Hwang, Neil LaBute, Kate Moira Ryan and Diana Son, among others. 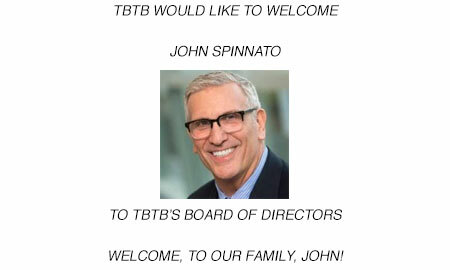 For additional information, visit www.tbtb.org. PUBLIC SERVANT runs May 25 – June 29 at Theatre Row's Clurman Theatre (410 West 42nd Street, between 9th and 10th Avenues). Performances are Tuesday - Wednesday at 7pm, Thursday - Friday at 8pm, Saturday at 3pm & 8pm, and Sunday at 3pm. 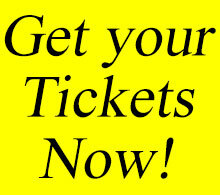 Tickets are $58, available at 212-239-6200 or visit https://www.telecharge.com/Off-Broadway/Public-Servant/Overview. For additional information, visit www.tbtb.org. TBTB, Theater Breaking Through Barriers, is the only Off-Broadway theater, and one of the few professional theaters in the country, dedicated to advancing writers, actors, directors, designers, technicians and administrators with disabilities and changing the image of people with disabilities.